Click here for a registration form in MS Word format. Click here for a registration form as a PDF document. Click here for this year's Symposium flyer in MS Word format. Click here for this year's Symposium flyer as a PDF document. E Mr. John Mynard Checking For Diseases-What To Look For? A Dr. Jim Tew "Our Present Environment -- How Big A Problem is it for our Bees?" Beekeeping Specialist, Alabama Cooperative Extension System, Auburn University and Professor Emeritus Ohio State University. Since 1975, Jim has taught classes, provided extension services, and conducted research on honey bees and honey bee behavior - specifically pollination behavior. 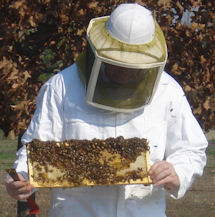 Beekeeping Specialist, Emeritus Professor/Dept. Head, Dept. of Entomology And plant Pathology, Mississippi State University. Member and Treasurer Alabama Beekeepers Assn. Member Limestone & Madison Co Beekeepers & Alabama Beekeepers Assn. Retired, Alabama State Apiarist, Northern Division. 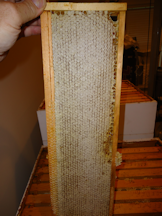 Several beekeeping supply vendors will be present again this year. Attendees will have the opportunity to order supplies in advance to be picked up at the symposium, thus saving on shipping costs. For more information contact Lionel Evans at smoothevans@aol.com. Our open hive demonstration will be conducted behind the house of Faye C. Baker, 17690 West Washington St.